The thousands of employees at Apple Park ….will be seated in open space, not the small offices they’re used to….Whiteboards–synonymous with Silicon Valley brainstorming–are built into floor-to-ceiling sliding doors in the central area of each pod. The space aligns with Apple’s iterative, improvisational creative process–one where the ideas and designs emerge from collaboration, not from the mind of a brilliant lone genius. *Christina Passariello, August 2017, “The circle is now complete.” Wall Street Journal Magazine, pp. 56-63. Creativity research* has shown that all companies benefit from very similar innovation strategies, whether they’re technology companies or not. We mostly hear about software and Internet-based startups these days; and most incubator spaces (sometimes called “innovation labs”) are filled with smartphone apps and web developers. Other industries are setting up innovation labs, and they almost always get built in San Francisco’s Bay Area. There’s nothing new here: back in the 1970s, Xerox, the copier company based in Rochester New York, decided to open its innovation lab in Palo Alto. Today’s Wall Street Journal lists a few of the companies who’ve created spaces in the Bay Area: Lowe’s, Home Depot, Target, Walgreens, Sears, Visa. I predict these efforts won’t work very well. We already know why, from the legendary failure of Xerox PARC. Back in the 1970s, developers at Xerox PARC invented the first windows-and-mouse computer, the first laser printer, and the first network to link computers (the Ethernet). It was called Smalltalk, and it was at decades ahead of its time. Both Microsoft and Apple based their windows operating systems on what came out of Xerox PARC. But the executives back in Rochester thought they were a bunch of crazy hippies and they said “Hey, we’re a copier company, why are you guys wasting your time on this stuff?” The book Fumbling the Future pretty much says the same thing that I say in my book Group Genius, and today’s Wall Street Journal identifies the key problem: if you create a separate R&D group, to keep the innovative people from being constrained by the traditional company culture, you also isolate the rest of the company from innovation. The labs are just too far removed; different organizational cultures develop; the innovation group just can’t communicate with the rest of the company. Nordstrom, one of the earliest companies to build an innovation lab (in 2010) found this out. They’ve now shrunk their lab dramatically, and instead have spread innovators throughout the company. Another example: Amazon’s Silicon Valley innovation center failed to meet expectations. I explain why in Group Genius: For successful innovation, you have to spread a culture of creativity throughout the organization. Creating a separate innovation lab doesn’t work. It’s just a trendy name for what used to be called the R&D group. We learned that didn’t work back in the 1970s and 1980s. Calling it an “innovation lab” doesn’t make any difference in the underlying dynamics of innovation. *Sawyer, Group Genius: The Creative Power of Collaboration. The Pixar Film “Inside Out”: The Zigzag Creative Process Succeeds Again! Pixar’s creative process has always followed a zig-zagging, improvisational process–one that’s perfectly aligned with the lessons emerging from creativity research. All of the research is showing that effective creativity, and exceptional creators, all follow an improvisational process: you don’t know where you’re going to end up, or when you’ll get there. It takes a while (and a few successes) to learn to trust in a process It’s because at first, it can feel like aimless failure. Pixar, the animated movie powerhouse, has stayed true to the zigzag process, because they know their successes emerged from it. From their first hit, Toy Story (with its many twists and turns documented in the book The Pixar Touch), all the way through Frozen, creative success has emerged from this unpredictable, wandering process. Pixar’s latest movie, arriving in theaters June 19, is Inside Out, and it’s been in process since 2010. It started with the thinnest of premises: we’ll go inside of a pre-adolescent girl’s head, and we’ll personify each of the emotions she feels every day, showing Sadness and Joy (for example) as cartoon characters. Think about that very simple idea, and ask yourself: How would you make a movie out of that? What happens at Pixar is that they start without knowing how it’s going to end. They start working it out, and then expect frequent changes to happen along the way. It looks like the zigzag process has worked yet again: The bittersweet movie got a huge positive response from critics at the Cannes Film Festival, it’s expected to make $250 million just in the USA, and it’s already being discussed as an Oscar contender. John Lasseter, in an article in today’s New York Times, says “We’re always tearing up work and starting over. At Pixar, we trust our process.” The article mentions several zigzags: for example, they were going to have the girl’s character go into a deep depression, but as they worked this idea out, they realized “that was not appropriate” says Pete Doctor, the director of the new movie (and also of the Oscar-winning “Up”). Another zigzag: One version of the script had Joy and Fear getting together. They worked for months, but couldn’t quite make this plot work. Eventually, they decided to turn to Sadness and give her a key role, when everyone had previously been leaving Sadness to be a peripheral character. This unexpected zigzag turned out to work surprisingly well. Not many movie studios can afford, or can trust, a director to take four or five years to go through the zigzags that the creative process requires. But there aren’t any shortcuts; this is how you get surprisingly original creativity. In Group Genius, I tell you the ten features of the most innovative organizations, grounded in this emergent, up bottom approach to innovation. That’s why Andreesen is right; not (only) because the skunk works approach damages morale, but because it never actually generates innovation. 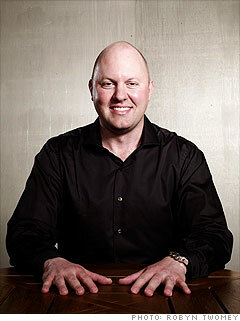 *Andreeasen, The Pmarca Blog Archives. Both books are wonderfully written. They are true to the science and the historical record. Each of them have turned up surprising and little-known details about creativity. If you read these books, along with Group Genius, you’ll have a really good understanding of what science has discovered about innovation. Johnson cites a lot of the same research that I do, and tells many of the same stories (Kevin Dunbar’s research; Gruber’s book about Darwin’s notebooks; brainstorming research; Burt’s research on structural holes; MIT’s Building 20). He echoes my concept of group flow with his term collective flow (both of us building on Dr. Csikszentmihalyi). Isaacson’s book focuses more narrowly–on the technology innovations that resulted in today’s tablet, smartphone, networked world. We sometimes take this world for granted, but it didn’t exist just a few years ago. I’m surprised to see how well Isaacson’s book is selling, because it’s highly detailed and very focused. Maybe there are more nerds out there that I realized! Personally, I loved it, because I participated in this history. I arrived at MIT in 1978, and received my computer science degree in 1982. I did my undergraduate thesis on MIT’s version of the Xerox PARC Smalltalk computer, the LISP Machine, so I was using a windows and mouse interface as early as 1980. I played the original video game, Space War, in the MIT student center. I remember how cool it was to use the Arpanet and log in to computers all over the world (one country I remember logging into was Norway). There were no passwords and no security; when I wanted to read a draft of Professor Marvin Minsky’s new book, I just went into his personal file folders and read his drafts. I met Richard Stallman, who tried to get me to participate in his “Free Unix!” project. Isaacson’s book was perfect for me. Like any author, I hope that my book stands the test of time. Group Genius contains many stories that aren’t in these books: The creation of the airplane, the mountain bike, the Monopoly boardgame, emergency and disaster response teams, Honda’s motorcycles, basketball teams, the ATM cash machine, Tolkien’s Lord of the Rings, and more. And, I tend to provide a bit more practical advice for how to use this research to be more creative. So if you like these two books, I hope you’ll read mine too! In Group Genius, I call this type of context the “collaborative web” and I provide advice on how to foster their emergence. Since Group Genius was published in 2007, I’ve done countless executive education workshops for corporate leaders, and as I’ve translated the research from my book into workable advice for executives, my own message has become much more focused on leadership practice. This book is very similar in style and spirit to my one-day workshops. Practicing executives will definitely benefit from this book, but if you have the money, you should fly in Linda Hill, or myself, to do a one-day workshop with your leadership team. I suspect this book started out as a one-day workshop and then, in conversation with a literary agent and an acquisition editor, it gradually grew into this book. As a fellow business book author, I’m particularly impressed by their long list of CEO endorsements, by folks like Tim Brown (IDEO), Reid Hoffman (LinkedIn), Terri Kelly (Gore), and Tony Hsieh (Zappos). If you’re looking for a good read for your next business flight, or you can’t afford our speaking fees, I definitely recommend this book. My approach to creativity was deeply inspired by Howie Becker’s 1982 book Art Worlds–a close analysis of the work done by painters, sculptors, and photographers, of course, but also all of the other roles necessary to get art done and to get it valued, sold, and talked about. Becker made a convincing argument that art doesn’t come from the solitary artist in the studio; there are many other people involved. They remain hidden only because we aren’t looking for them–we believe so much in the romantic myth of the solitary lone genius that we look right past everyone else involved in the collective creative process. Basically, Becker believes that Yogi Berra was right: you really can observe the most by watching. Mine is a view that–well, it takes a village to write a symphony and get it performed. It’s not just the composer. The great case for me is in film, because nobody ever figured out who the real artist is: the screenwriter or the director or who? Or, rather, everybody figured it out, but never figured out the same thing. Early on when I was reading about art, I read a book by Aljean Hametz on the making of “The Wizard of Oz.” She was the daughter of someone in the wardrobe department of M-G-M, and she explains that there were four directors of that film, and the guys who thought of the crucial thing, the change from black-and-white to color when the characters enter Oz, were the composer and the lyricist! In an important way, I took the list of credits at the end of a Hollywood film as my model of how artistic creation really happens. Creativity consists of real people who are trying to get things done, largely by getting other people to do things that will assist them in their project. The resulting collective activity is something that perhaps no one wanted, but is the best everyone could get out of this situation, and therefore what they all, in effect, agreed to. In a nutshell, this is the core message of my 2007 business book Group Genius: The Creative Power of Collaboration. Of course I hope you read my book, but if you then want to go deeper, and really understand creativity, you have to read Howard Becker. Candor is the key to collaborating effectively. Lack of candor leads to dysfunctional environments… This part of our job is never done because you can’t totally eliminate the blocks to candor. The fear of saying something stupid and looking bad…it has a way of reasserting itself….You don’t want to be at a company where there is more candor in the hallways than in the rooms where fundamental ideas or policy are being hashed out. Creativity has to start somewhere, and we are true believers in the power of bracing, candid feedback and the iterative process. You are not your idea, and if you identify too closely with your ideas, you will take offense when challenged. People need to be wrong as fast as they can….People say they want to be in risky environments…But they don’t actually know what risk means, that risk actually does bring failure and mistakes. At some point, with any film, the idea you started off with will not work. In my 2013 book Zig Zag: The Surprising Path to Greater Creativity, I use Pixar as one of my case studies, to make this same point: that creativity always takes a wandering, unpredictable path (the “zig zag”) and that successful innovators know how to trust in that improvisational, emergent process. My book gives advice for how to learn to succeed, and Ed Catmull understands the same core principles of creativity and innovation.